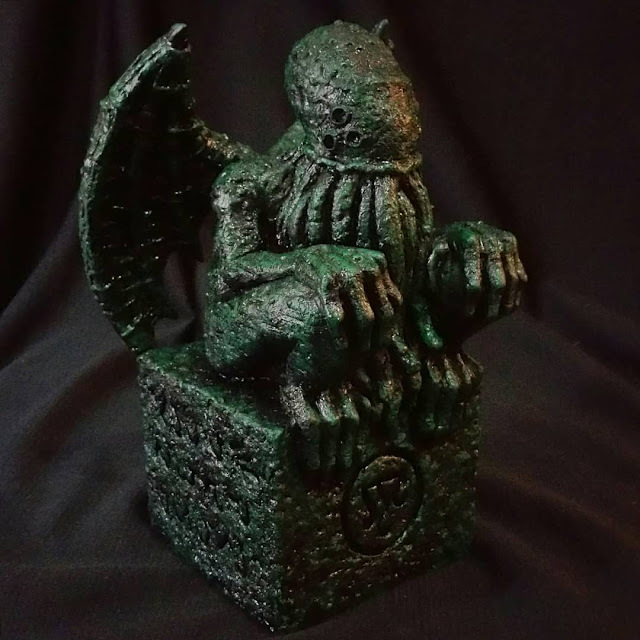 I really like this take on the traditional Cthulhu idol from Artist David R. Sainz. 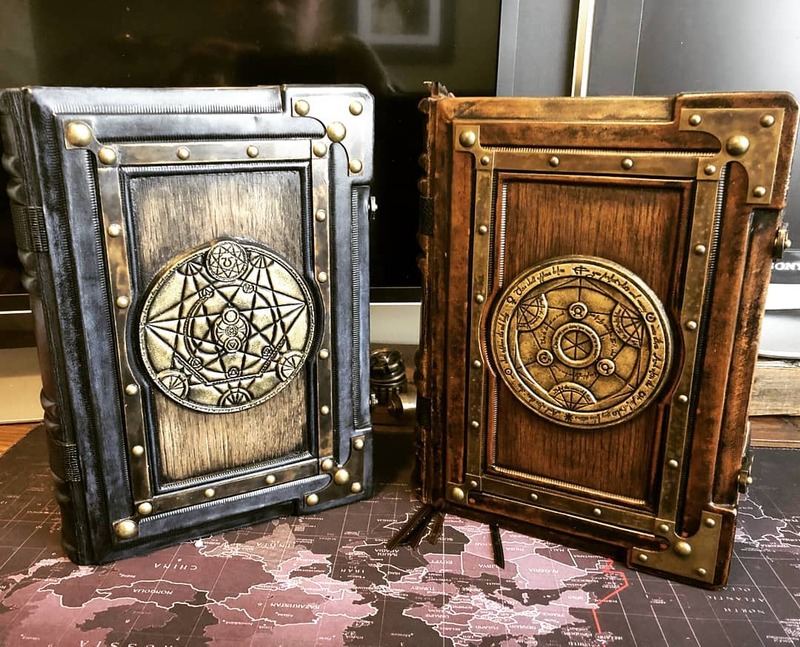 It does a good job of capturing the basics of Lovecraft's original sketch without too slavishly reproducing the clumsier details. Martin Quarz brings us this intriguing specimen of a nocturnal polyp. I'm a sucker for cool tableaux shots like this. 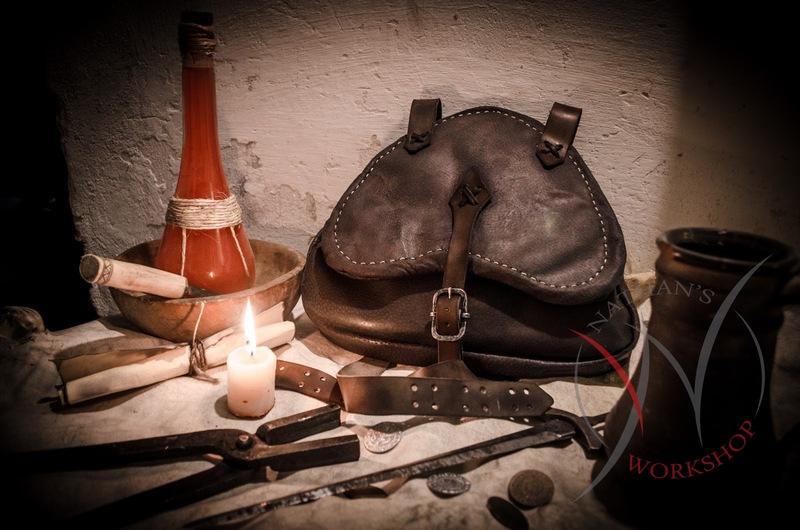 It features a wonderful leather adventurer's knapsack crafted by Czech artist Jan Feit. 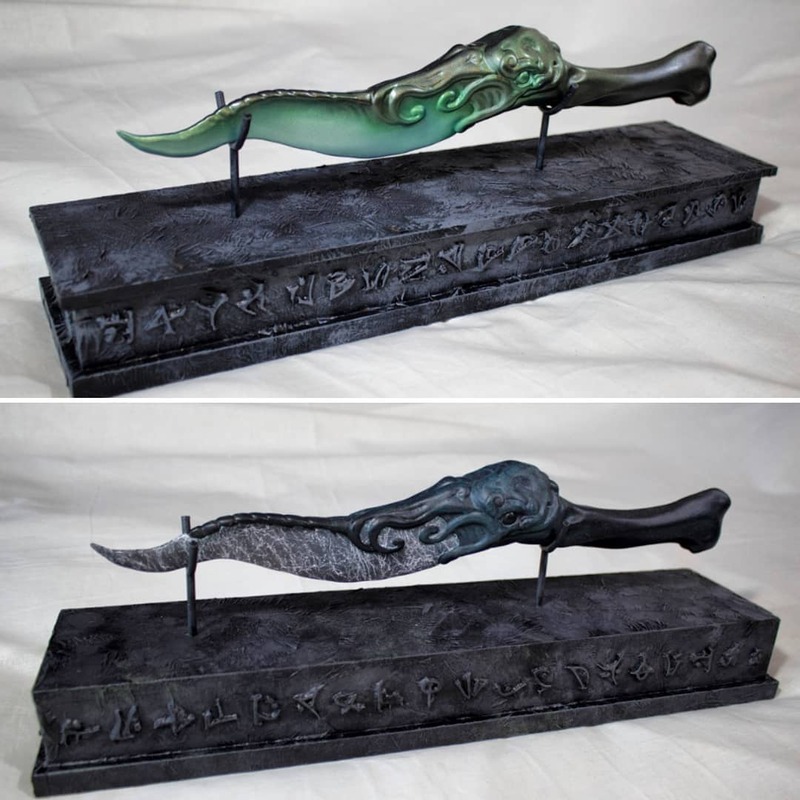 This beautiful Cthulhu-themed sacrificial blade comes to us from propmaker Johan Waxin and digital sculptor Sanna Öhlund. At first blush, you wouldn't expect a fantastic piece of Mythos art from an artist using the moniker SueZ Q. Yet here we are. 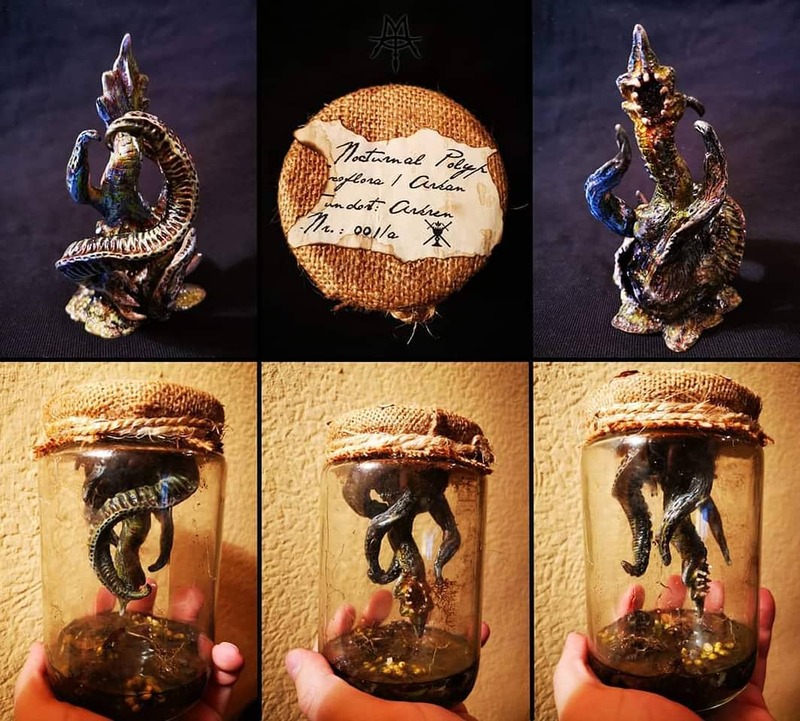 She brings us this commissioned Cthulhu sculpt, currently available as a resin casting. 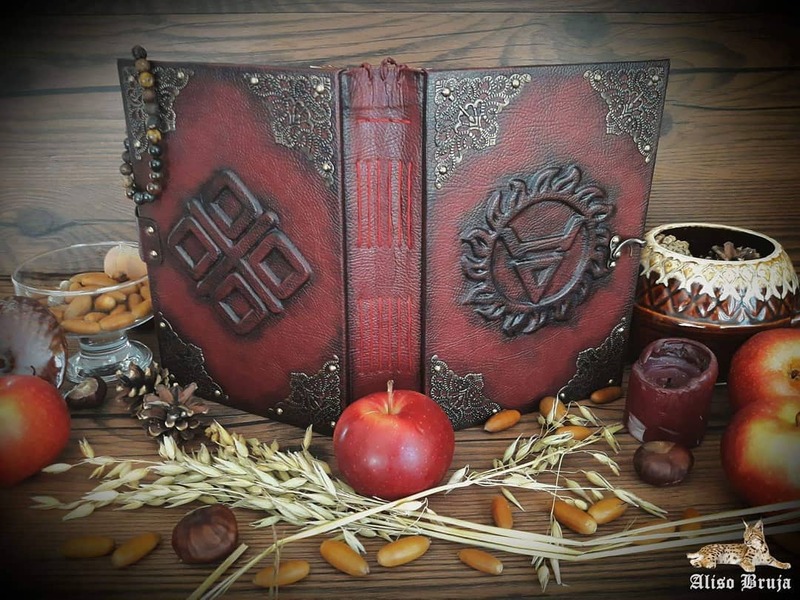 This beautiful hand bound tome comes to us from Russian artist Olga Kovaleva. The custom embossments are the symbols of Veles and Mokosh, two of the old Slavic pagan gods.